The Amankila hotel in Bali is located right on the Lombok Strait, giving guests a beautiful view. The suites are all free standing and feature canopied beds, patios with coconut shell tables, and cathedral ceilings. The hotel also features gorgeous infinity pools for guests to relax in. The Blantyre is a Tudor style country house covered in ivy, situated on 117 acres in the Berkshires in Massachusetts. Rooms have huge fireplaces and an extensive book collection. The main dining room serves country cuisine with a French twist and in the winter the tennis courts are transformed into an ice skating rink. 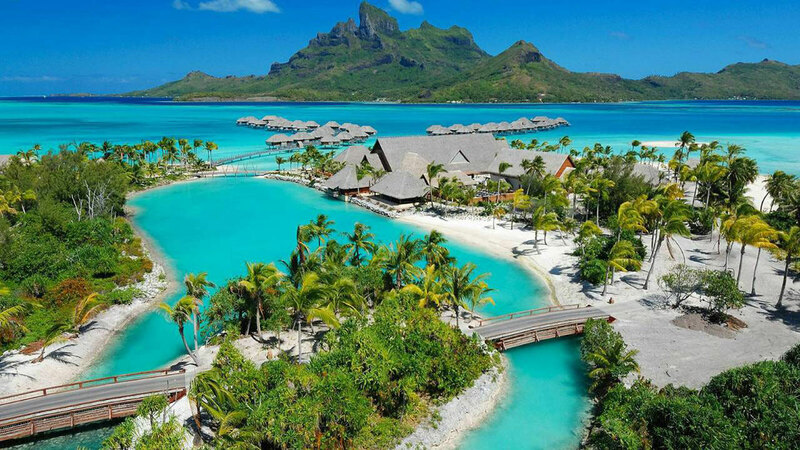 The Four Seasons Resort in Bora Bora lets you watch the sun rise over the Pacific or the sun set over their gorgeous lagoon with Mount Otemanu as a back drop. Buildings have walls made of volcanic stone with mother of pearl accents. Suites include overwater platforms that allow guests to stare at the sky, or even spy dolphins in the ocean around them. From tucked away escapes to exotic island hotels, the location is always key when selecting your accommodation.